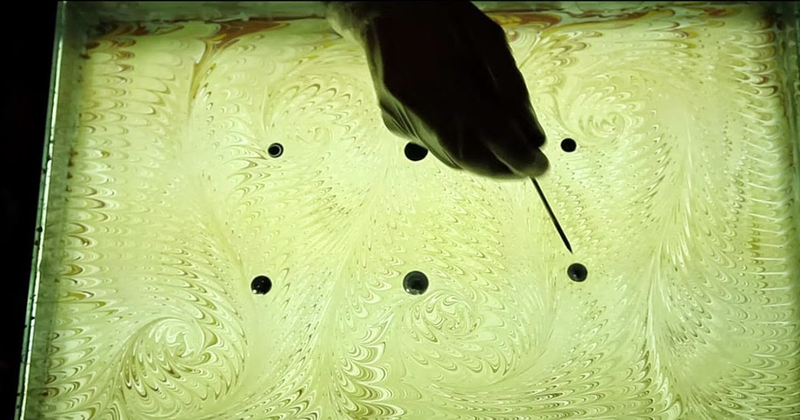 He starts by putting drops in the liquid using a technique called 'Ebru' or 'Paper Marbling'. This is achieved by drawing with oil based inks on a water surface and then carefully placing a paper on the top for transferring the designs. The result is absolutely mesmerizing.